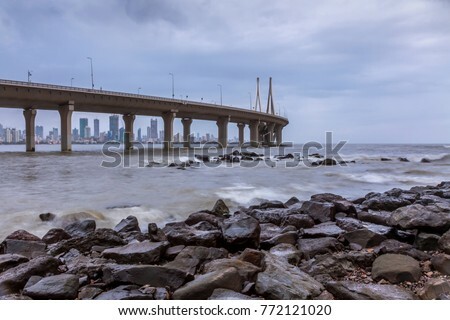 There are a few cities in the world which are known for their magnetic vibe and insatiable energy, Mumbai is certainly one of those cities. 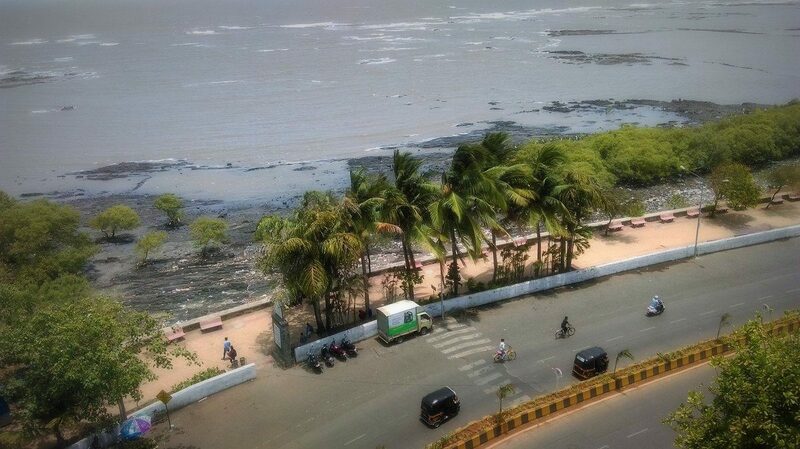 Ask anyone who has spent some time in the city and they’ll assure you that time in Mumbai moves according to its people. 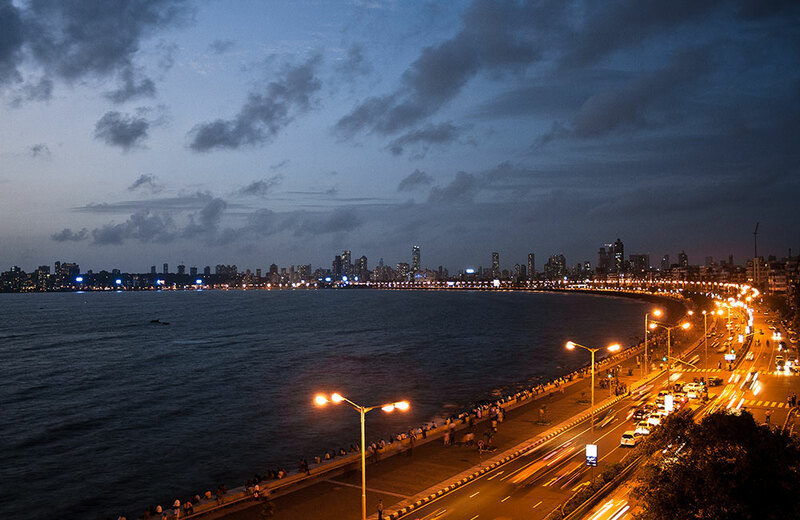 Always a safe haven, even at night, Mumbai has held on to its reputation strongly as a people’s city. 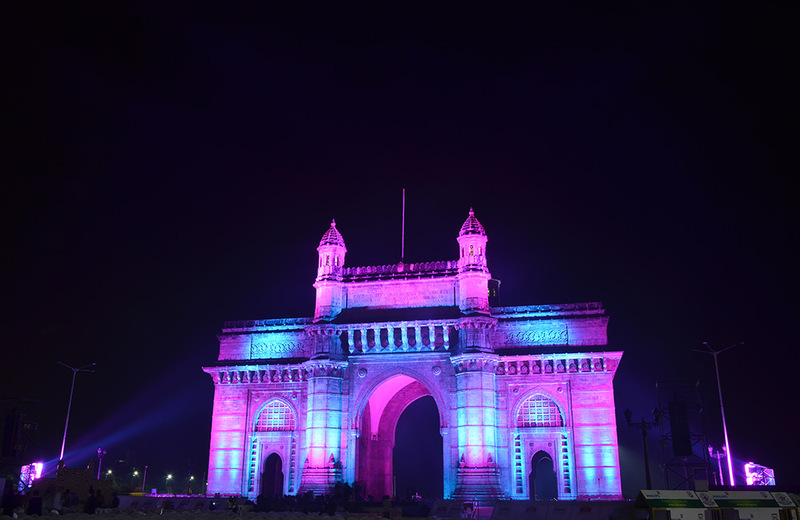 Now, there is enough information on how you can spend the day in Mumbai, but we’ll take you through how to make the most of Mumbai at night! 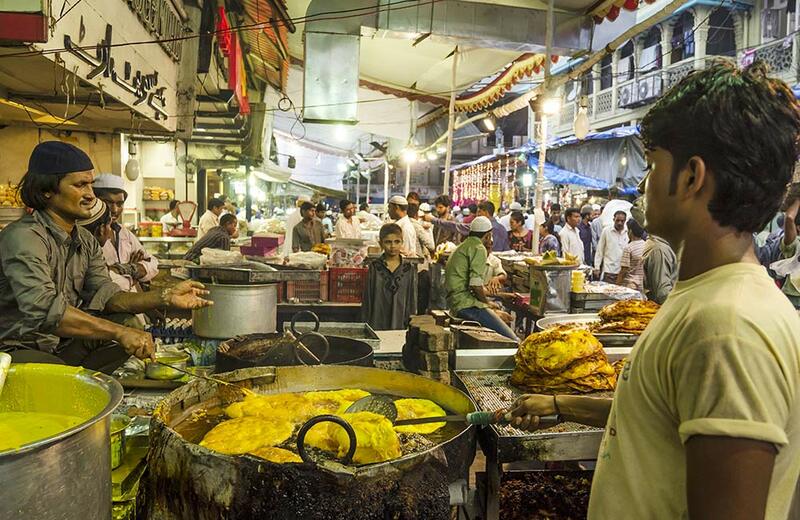 Heaven for food lovers, Mohammad Ali Road in Mumbai is a journey through myriad aromas, colours and sounds. 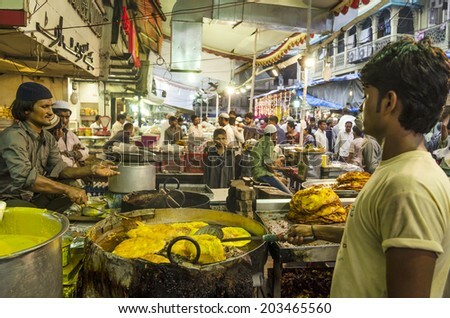 It offers some of the best non-vegetarian delicacies in the city; Nihari, Namkeen Khichda and Kebabs are to name a few. Of course, all those who visit regularly have their favorites, but we’ve heard that Kebabs at Chinese and Grill, Sanju Baba Chicken at Noor Mohammadi Hotel (yes, it’s named after Sanjay Dutt) and Phirni at Suleman Usman Mithaiwala are definitely not to be missed! 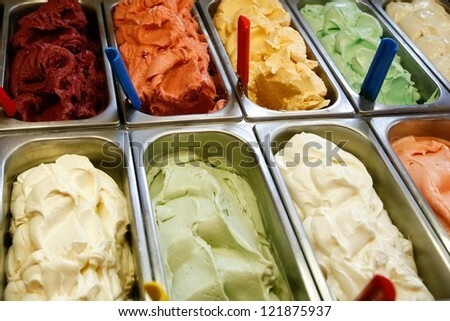 For scrumptious shakes, heaps of ice cream and their unique concoctions of ice cream flavors, Bachelorr’s has become a favorite among locals and tourists alike. Everyone who has family or friends, visiting this busy ice-cream and shakes parlor is definitely on the list of places to visit. 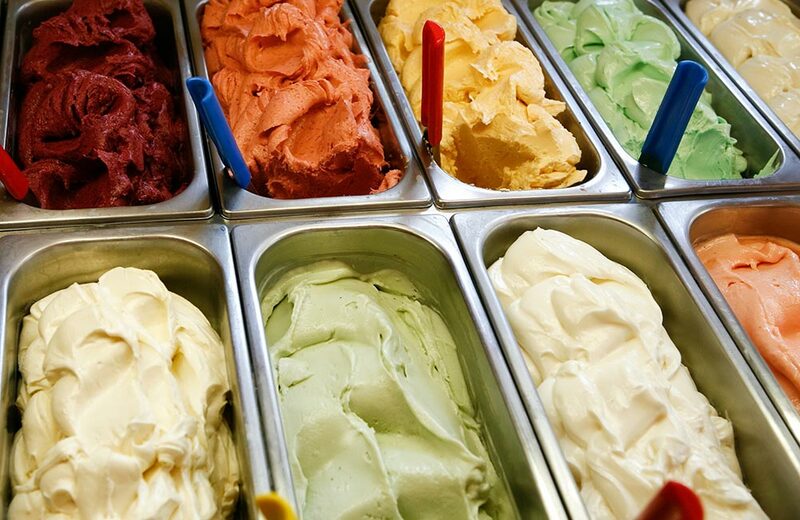 Their mirchi ice-cream and seasonal fruit juices are a specialty and a must try. If this is your first visit here, don’t be surprised by the lack of ambience since it’s mostly a drive through but the desserts more than make up for it! 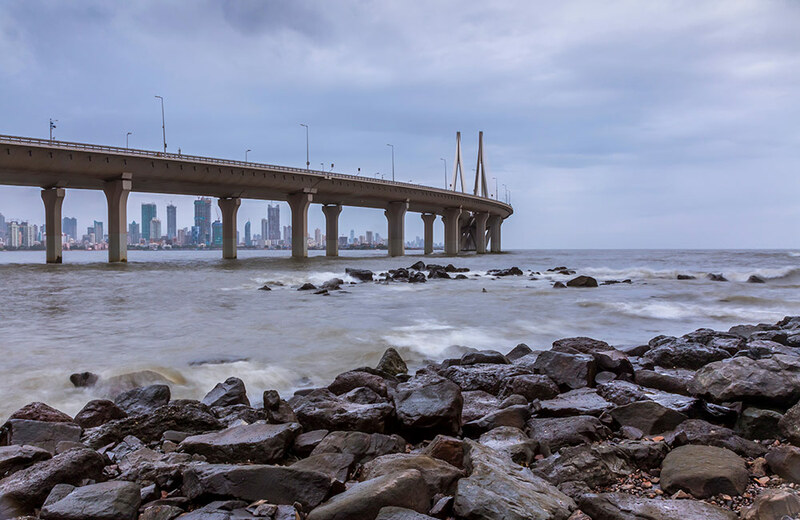 From movies to books, we have heard, seen and read so much about Chowpatty, it would be difficult to miss this center of activity. 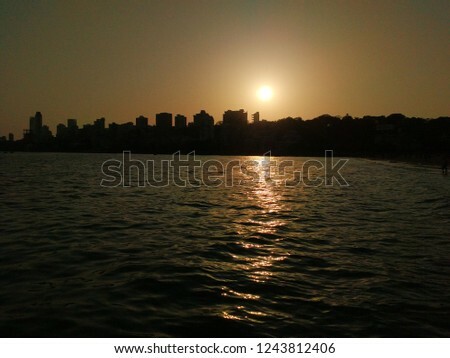 During the day, Juhu Chowpatty Beach is a cacophony of sounds and lights, though by the sun sets, this vast expanse of the shoreline is silent and lit up by the stars (if you are lucky). The only sights you might see are of a lone ship or two in the sea and of course the rows of eateries lining the beach. Try the bhel puri and and a bhurjee bun here – it’s unlike any other you would have tried in Mumbai. 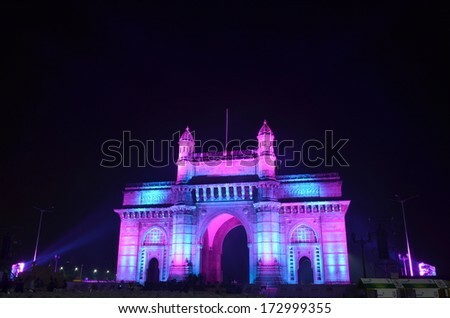 Standing tall in its grandeur, the Gateway of India is an impressive, over-whelming beauty; especially at night. With the sea as its backdrop, the gently blowing wind and the soft murmur of people, it is one experience no traveler should miss! If you are a water baby, another great experience here is going on a short cruise. Surprisingly not very expensive, a cruise from the Gateway costs around Rs. 1500 (approximately) and is anywhere between 30 minutes to an hour. You will need to book this at least a couple of days in advance since it’s becoming quite popular. 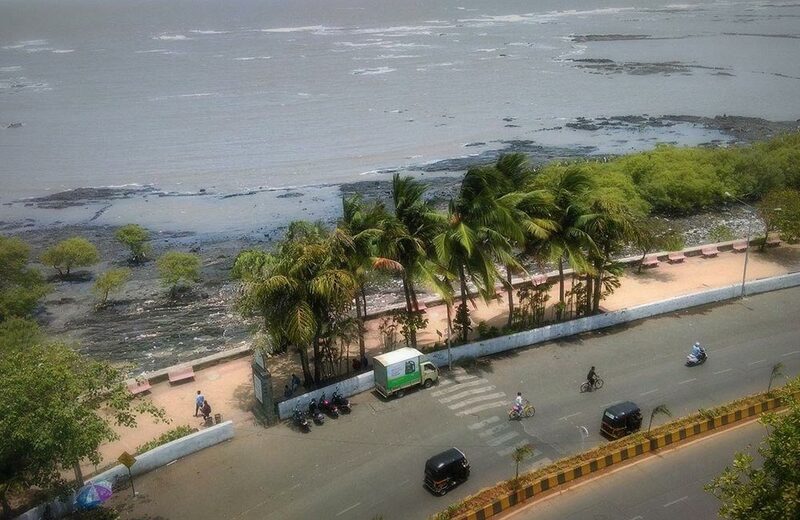 Marine Drive is an iconic stretch of road which overlooks the sea on one side and the beautiful city on the other. 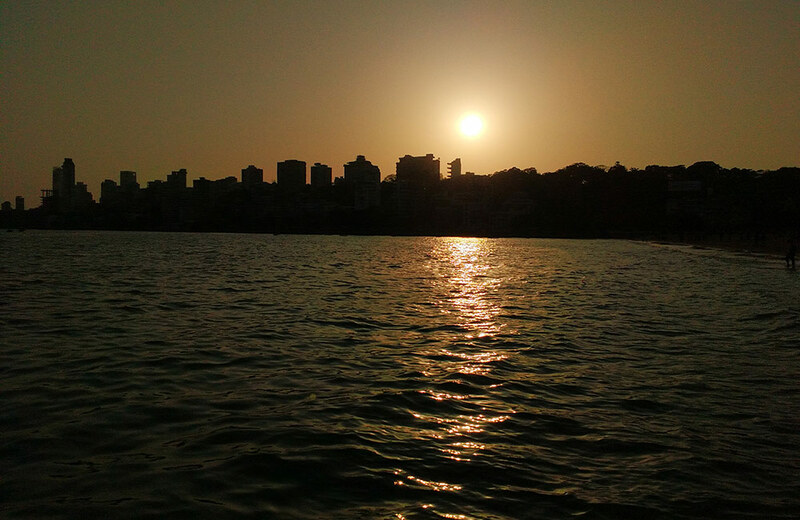 Mumbaikers will swear that the best time to visit Marine Drive is definitely in the evening and at night and the best way to enjoy the cool breeze is with a hot cup of thela chai or the extremely famous Mumbai bhel. If you are here any time after 2:00 am, chances are that the cops will ask you to leave. 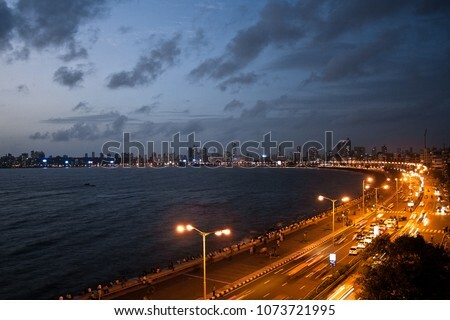 So if you’d like to experience the calm and serenity of Marine Drive, it’s best to come between 10 pm and 1 am. Why spend a night in Mumbai without yum food? Bademiya is perhaps one of the most famous eating places in Mumbai for non-vegetarian food and luckily slightly less crowded at night. Do try the tandoor tikkas, the tandoor chicken and the kebabs with the special green chutney they serve. 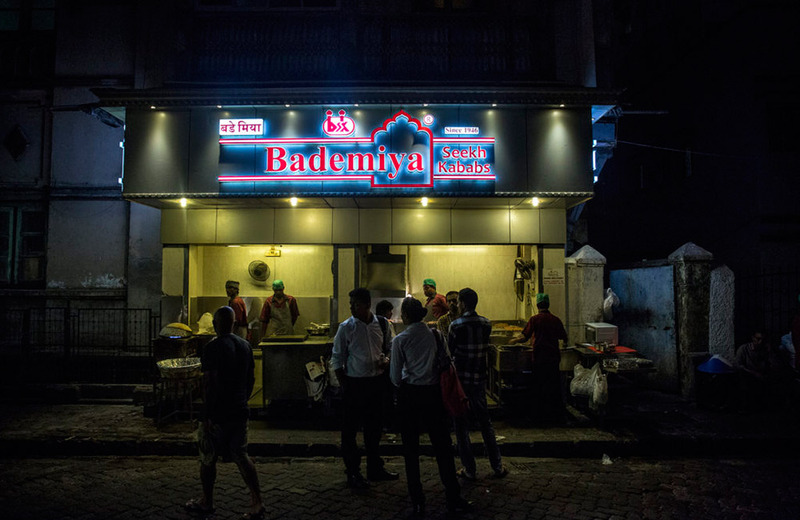 Bademiya is located behind Hotel Taj Mahal and is open till the wee hours. One of the many places in Mumbai that is as vibrant at night as it is during the day, Carter Road is the perfect place to visit for after-dinner coffee or a leisurely stroll. This spot is featured in many movies and series and is truly as scenic as on the big screen. Most of the food joints here are open well past midnight and your hunger cravings will be well attended too. For a true experience of the city that never sleeps, Bandstand is your place. Head here for a late dinner and stay a couple of extra hours for a late-night stroll overlooking the sea. The dramatically opposing views of the sea on one side and the hustle bustle of the city on the other is what makes Bandstand a truly special experience. This one isn’t for everybody but it’s definitely a must try if you are in Mumbai. The pub culture in the city is quite different from the rest of the metros in India. 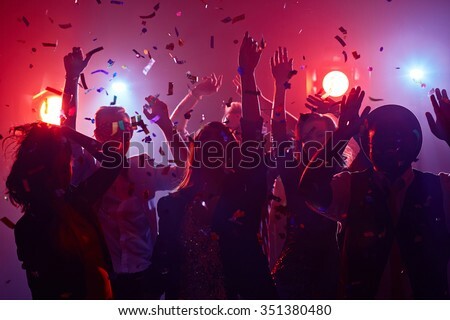 It’s relaxed and the live performances in some of the clubs are exceptional. 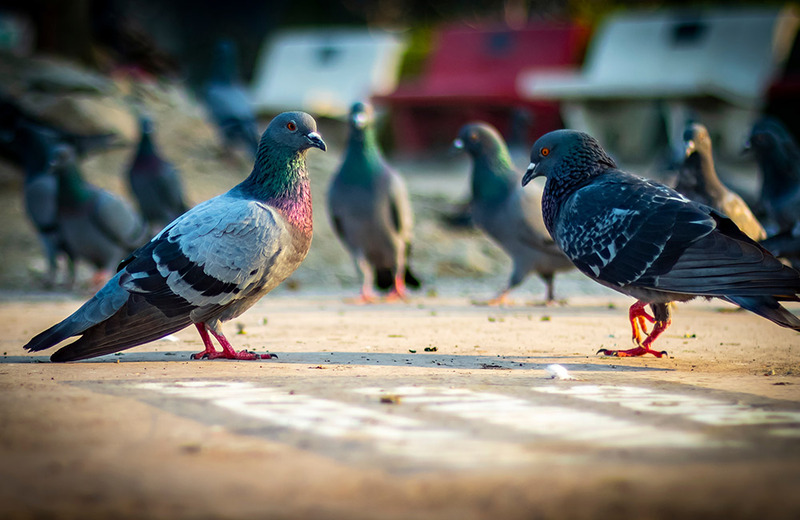 The best part about the nightlife of Mumbai is that it has something for everyone. 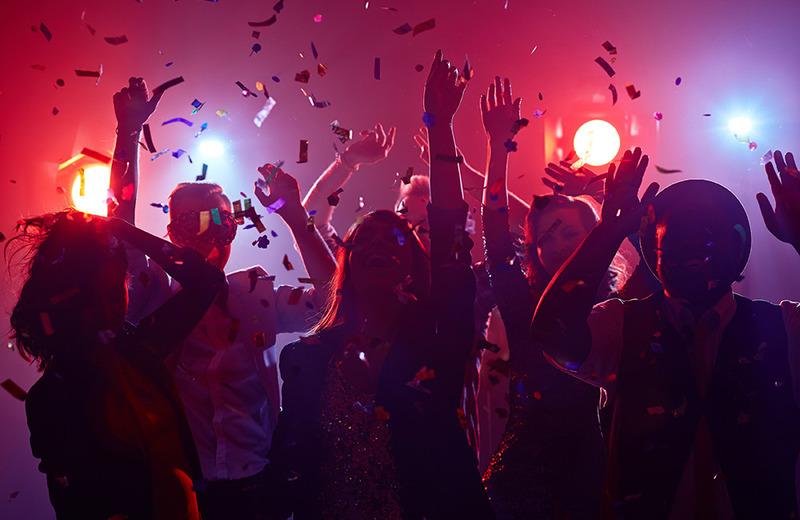 Whether you like rock or karaoke, the city doesn’t disappoint. Some of the more popular pubs here are Blue Frog, The Quarter, Aer (a little expensive but definitely worth it), Trilogy and Hard Rock Cafe. 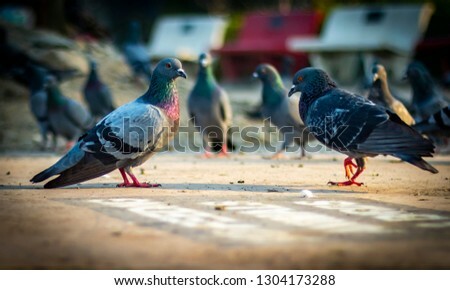 “With dreams in my eyes, I explore this vibrant city, slowly unveiling its colours” – this is exactly how I felt when I first drove through the Sea Link. It’s something about the lights, the air or everything combined together that makes this 8 to 10-minute ride one that you won’t easily forget. If you don’t have a car, ask a cab driver to take you through the passage. They’ll be more than willing and excited to show you their city. Do make sure you visit this part of the city, way past midnight.